Wanna be a Bike Roadie? Rock the Merch Table or the Smoothie Station? Be a Golden Goose? Perhaps you’d like to post fliers or help test/build equipment before the day-of? Fill out the Volunteer Signup Formto let us know how you’d like to help out. Thank you!! Blog about BMF! Tweet about BMF! Ride through the streets shouting BMF! June 22, 2013. Follow BMF on Twitterand get live updates on the day of the festival. Invite your friends to the FB event and become FB friends forever. Bring cash for the bands – its how they get paid and a great way to show support. Pack-In Pack-Out – BMF is a “leave no trace behind” event. Please help by picking up your trash and leaving the event sites better than you found them. Become a Sponsor of BMF – BMF is made possible by the support of some wonderful local individuals, businesses, and organizations. We encourage support via Financial Contributions or in-kind materials/services to help support the Bicycle Music Festival. All Donations are Tax-Deductible! E-mail Jeff@bicyclemusicfestival.com for more info. Collaborate with us! Do you have a cool community activity that we can tie-in to the BMF like a farm workday, social activity like a capture the flag game that you and your friends are organizing, or want to table for your non-profit organization at the BMF? Let’s do it! 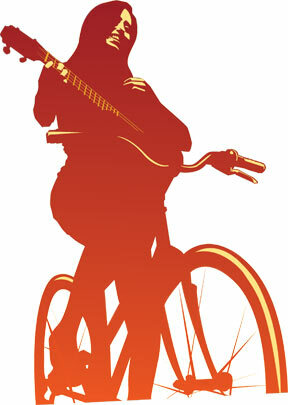 Contact jeff@bicyclemusicfestival.com. BE THERE for the best damn show of the year! Bookmark this article Get Involved!